Clean to classic overdriven sweetness all under your guitar volume knob. 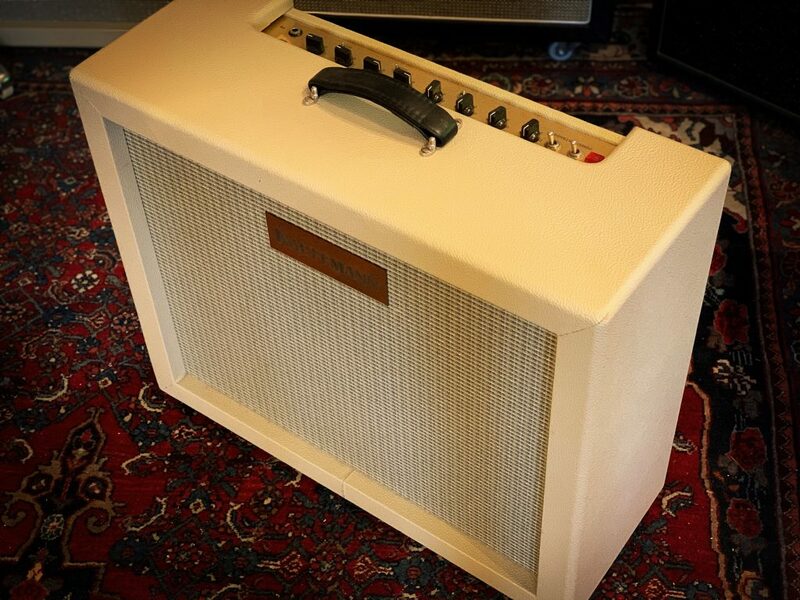 Designed by Albert Deinum and build in the Netherlands in Ed’s Custom Amp Shop. Albert has designed an amp for the player with a dynamic playing style. The amp responds very well to volume adjustments and to whatever dynamic magic your hands can produce. The amp is designed with the best clean sound on earth in mind. And according to Albert Deinum who designed the sounds of this amp that has to be JTM clean sound. Think Jimmie Hendricks playing Little Wing. Furthermore the amp is designed to take your sound from rich clean tones to overdriven lead and anything in between without using any additional drive pedals. The two channel layout and the large headroom are the key ingredients of the amp. It is always more about sustain then about gain. On the clean channel there is plenty of headroom and it has just enough gain to compress the tone. This makes for an very, very smooth and rich playing experience. The drive channel picks up gain wise where the clean channel ends. This combination gives you a range from clean to a fully classic rock style drive. There is also plenty of drive and headroom for a great lead tone. Kick in the fully adjustable boost that is available on both channels. And for lead tones it’s always more about sustain then about gain. Add a little delay and or reverb via the effects loop to complete your sound and you are ready to roll.